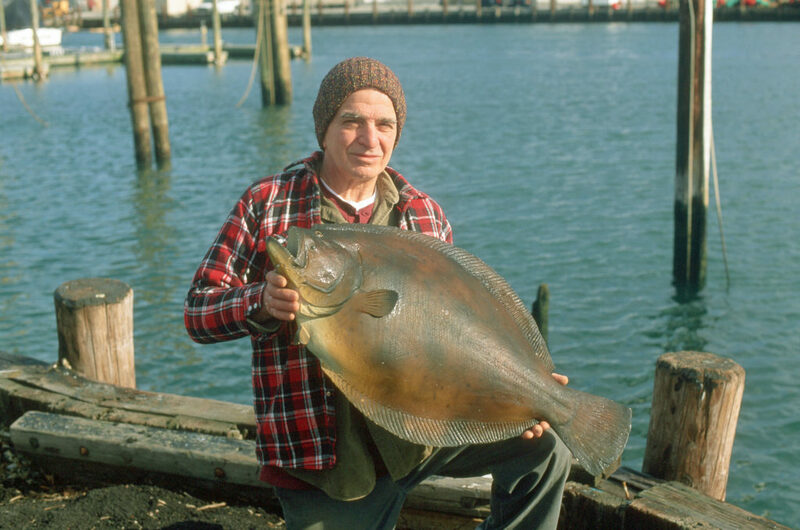 After nearly 43 years, Captain Charlie Nappi still holds the world record for fluke. Photo by Tom Schlichter. 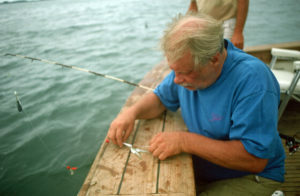 A recent discussion about the difficulties of catching keeper fluke brought to mind a long-ago day on Long Island’s Debs Inlet spent with the late Charlie Nappi. Known to many as The Duke of Fluke, Nappi still holds the International Game Fish Association all-tackle world record for a mammoth, 22.44-pound doormat he hauled from Montauk’s Frisbee Grounds some 43 years ago come September. Nappi wasn’t a one-fish wonder. He caught hundreds of doormats, as fluke weighing more than 8 pounds are known. He had health issues when I caught up with him in the early 1990s. Still, he was enthusiastic when it came to talking fluke, and he freely dished advice on how to catch the big ones. I was fortunate in that he took a liking to me and offered to take me out for the tasty summer flatties – an opportunity I wasn’t about to pass up. 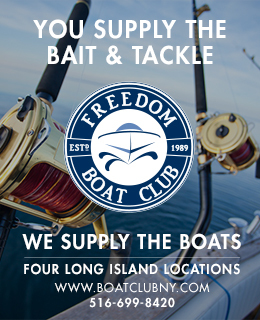 Most of what he learned, Nappi said, was built on a strong foundation laid by the acknowledged Montauk fluke-slayer of the era, Captain Ed “Spider” Hegner, along with advice from Captain Carl Forsberg of Viking Fishing Fleet fame. Some of the tips he offered that day I still employ, and they have improved my chances of catching summer flatties big enough to brag about. With August having a reputation for producing some of the best doormat action of the year – especially off Long Island’s Montauk Point, Massachusetts’ Nantucket Shoals, Ambrose Channel in the New York Bight, and New Jersey’s Shrewsbury Rocks area, sharing these reflections seems a timely choice. Bob Sansonetti from Freeport Bait and Tackle, a friend of Charlie Nappi’s, holds the mount of the Fluke Duke’s 22.44-pound world record doormat. Nappi caught the monster summer flattie at Montauk in 1975. Photo by Tom Schlichter. As we fished that morning, Nappi explained that most people fished too quickly for fluke. He liked to work the slowest stages of the tides and said that nearly every doormat in excess of 10 pounds he had ever caught was hooked on the first or last hour of moving water. The faster stages of the tide, he said, favored smaller, more aggressive fish. The biggest fluke conserved their energy rather than compete with the little fish while working against the strong currents at mid-tide.